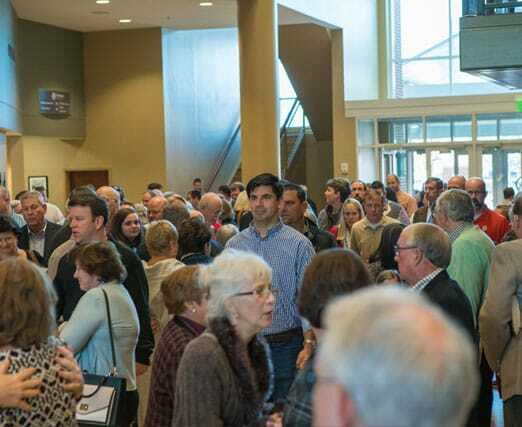 First Baptist Simpsonville and Upstate Church are one unique church family that worships in multiple locations. We are a group of real people from a variety of backgrounds who all agree that God is the answer to life’s problems. To love and follow Jesus fully, so that others are drawn to Him. To help people in the Upstate connect with Jesus to change their world. DEPENDENCY - Prayer is the foundation of all that we do because without God we can accomplish nothing. We seek to worship Him with our whole lives, mind, body, and spirit (Matthew 6:33 & 22:37). AUTHENTICITY - We are real people who are honest about our flaws. We are a genuine, transparent, united group of believers who are devoted to biblical truth (1 John 1:8-9, Matthew 23:25-27, & John 13:35). MULTIPLICATION - We want to be known as passionate disciple-makers, committed to engaging the culture both locally and globally by reaching and teaching others to become followers of Christ. This will not happen accidentally. Our goal is to lead new believers on a journey of growth and true fulfillment. (Matthew 28:19-20, Mark 2:17, & Acts 1:8). MULTI-GENERATIONAL - We are a church that values every person at every life stage and circumstance. Married, single, divorced, or widowed, you are an important part of our family. We desire to build a community of support where relationships thrive. Our goal is to create safe and exciting environments where children love to attend and their parents are prepared for the journey (Psalm 100:5). GENEROSITY - We don’t just want to be people who give. We desire to be known as extremely generous investors. We really believe it's better to give than to receive, and we want to invest in people (Acts 20:35 & 2 Corinthians 9:7). HUMILITY - We want to stand out as a church that cares more about other people than ourselves. We see serving others as a lifestyle, not an event (1 Peter 5:6). COMMUNITY - Life happens in community, and we want to intentionally build and reproduce environments that nurture relationships. We are created with a need for other people, and we believe life is better when we are together (Acts 2:42-47).